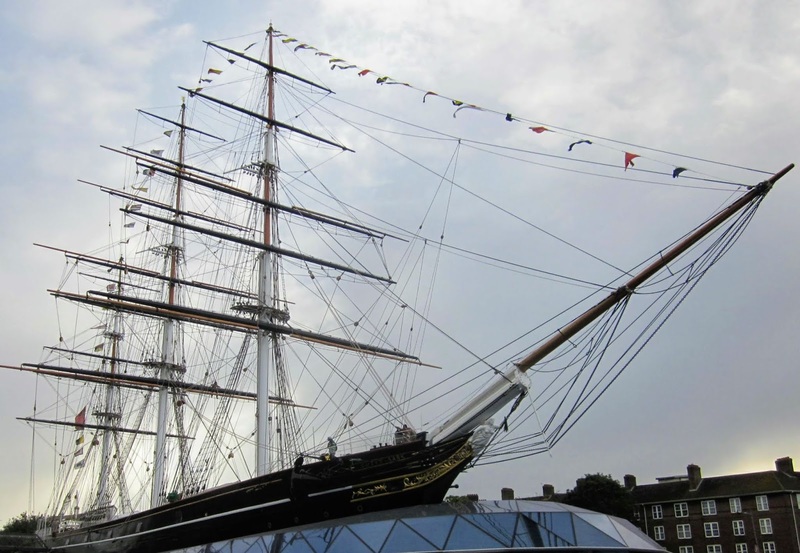 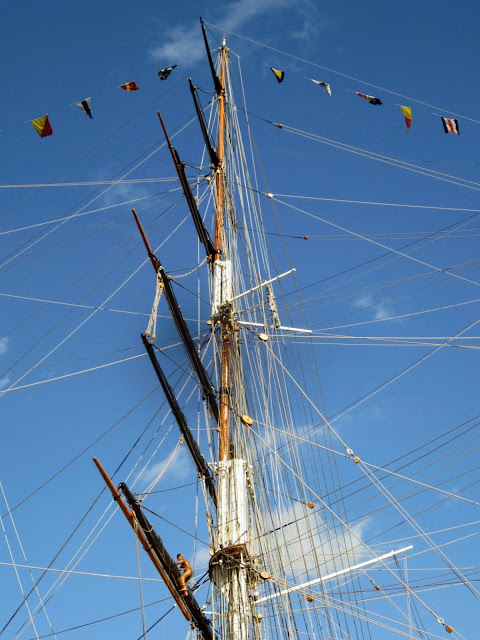 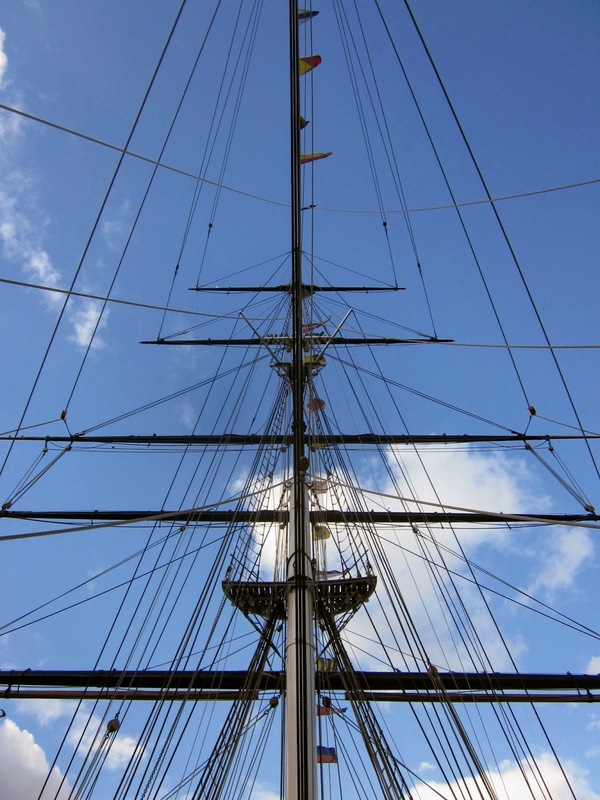 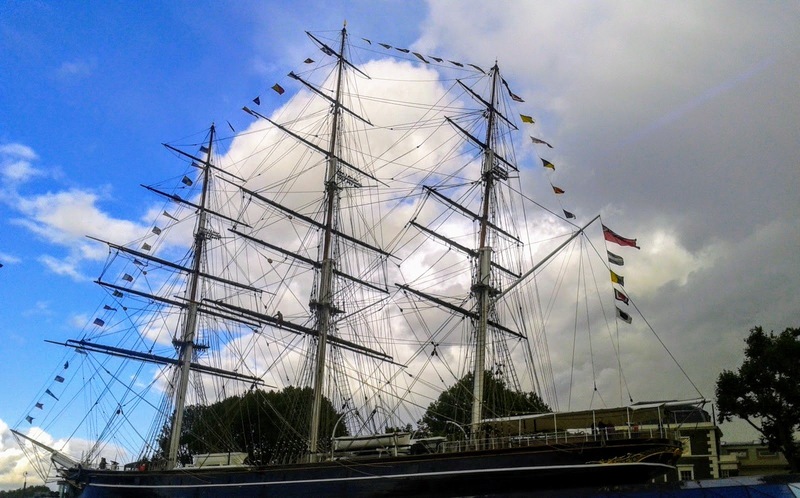 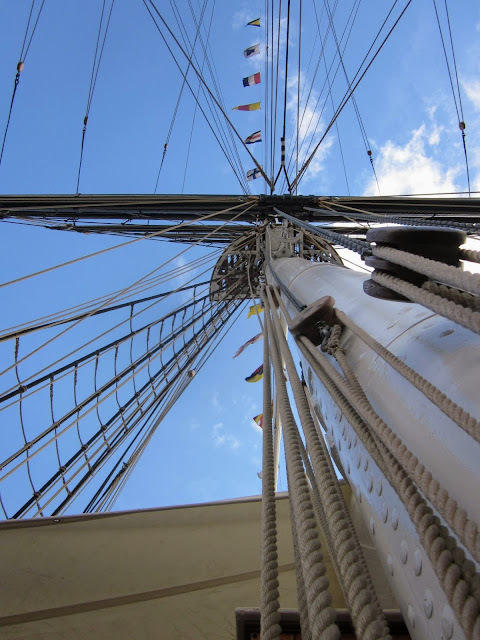 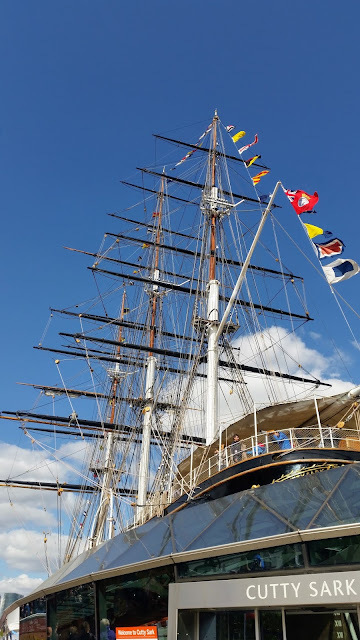 The Cutty Sark could reach speeds of over 17 knots. 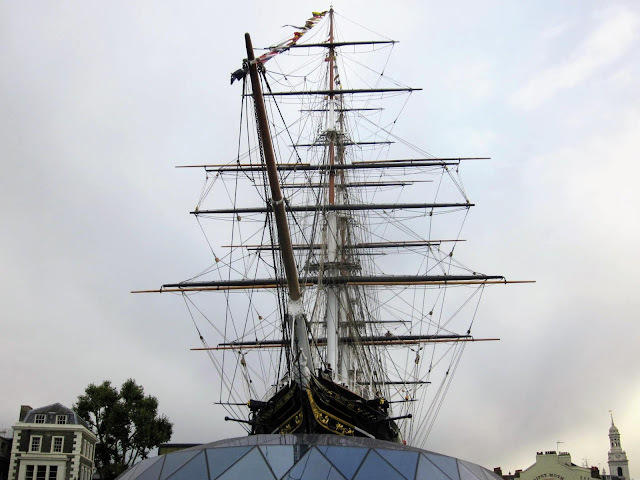 The Cutty Sark was only the second-ever historic vessel to be opened to the public. 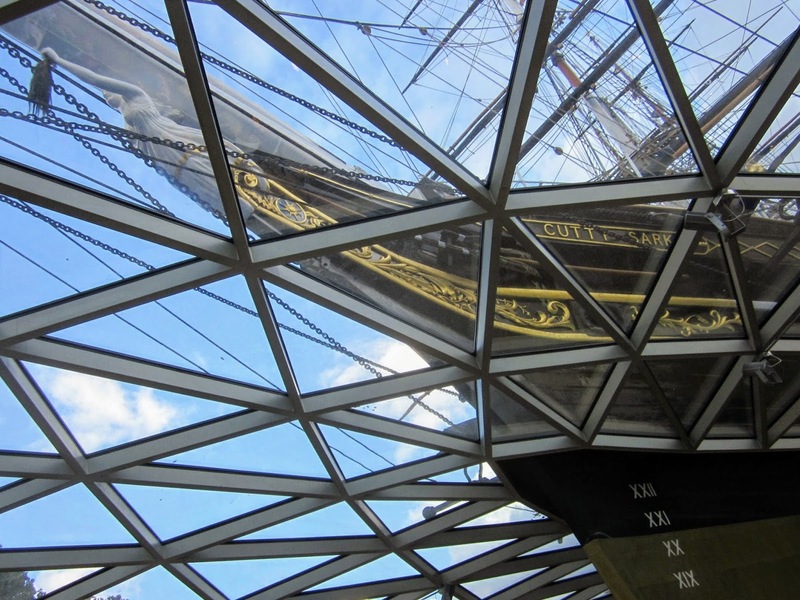 The first being Drake's Golden Hind, which opened to the public in the 16th century. The Cutty Sark’s figurehead is a young witch named ‘Nannie’ who was a character in the poem ‘Tam O’Shanter’, by Scottish poet Robert Burns. 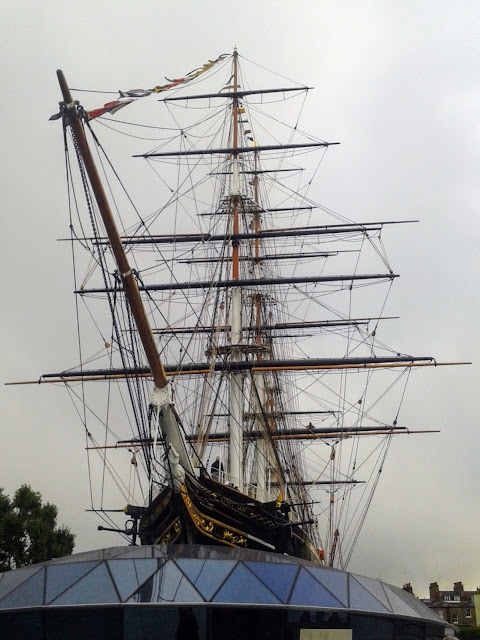 The poem concerns Tam, a farmer who, after an evening of drinking, was riding home on his horse called Meg. 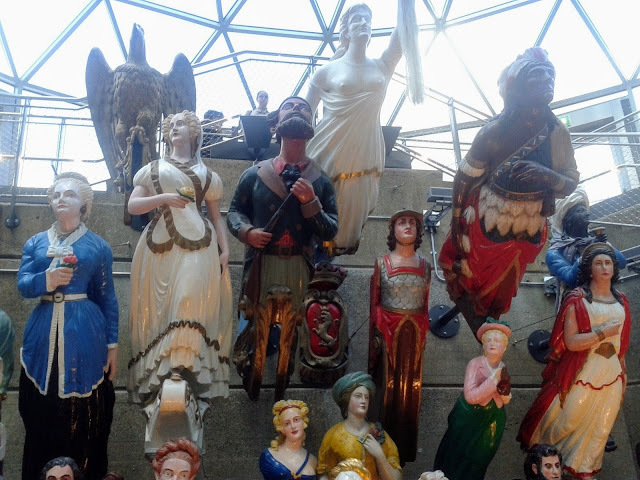 On his way, he saw that the churchyard was occupied by a collection of witches, with the Devil himself playing the bagpipes. Tam saw that among the group of witches, there was one which was young and beautiful. Her name was Nannie, and she wore only a ‘cutty sark’, Tam was bewitched and, in his excitement, he cried out “Weel done cutty sark!” The witches then pursued Tam, who fled for his life to the bridge over the river Doon, for he knew that witches could not cross running water. 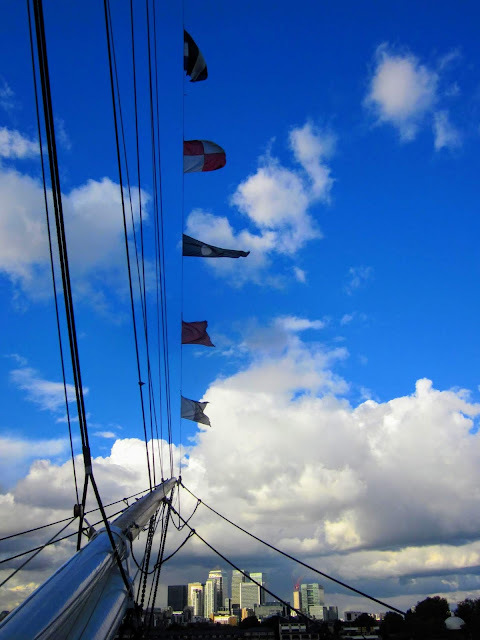 Nannie was faster than the others and, as the mare galloped over the bridge, she seized it by the tail, which came off in her hand. 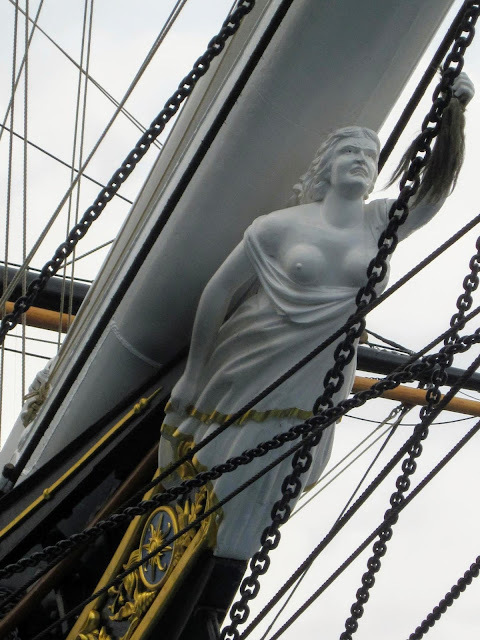 Hence, the figurehead is always shown holding a horse’s tail in her left hand. 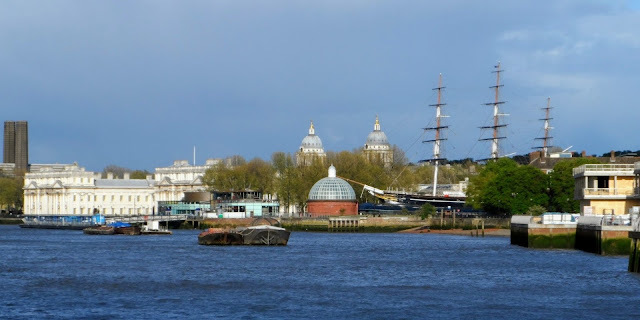 Approaching Greenwich from the River Thames. 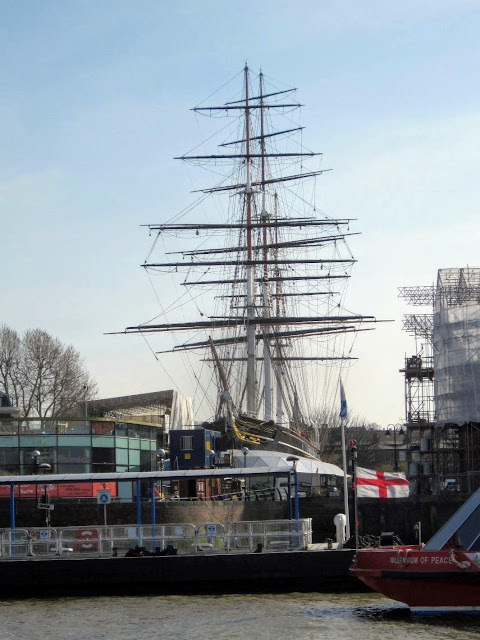 The Cutty Sark from the River Thames. 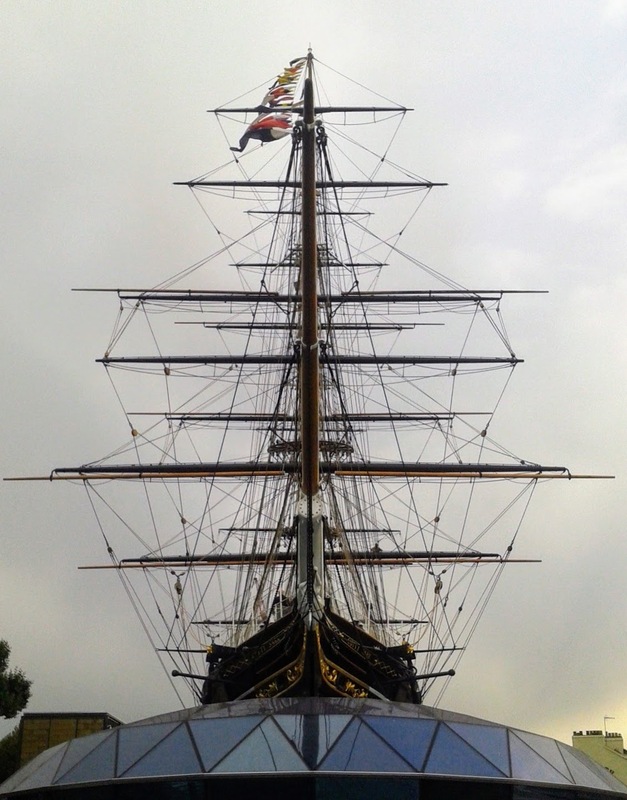 Cutty Sark from just outside the entrance. 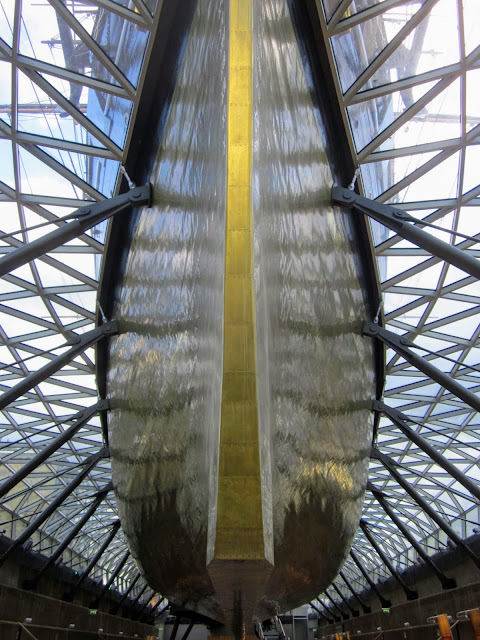 Cutty Sark from the front. Cutty Sark from her front Starboard side. Looking across at Canary Wharf, on the Isle of Dogs. 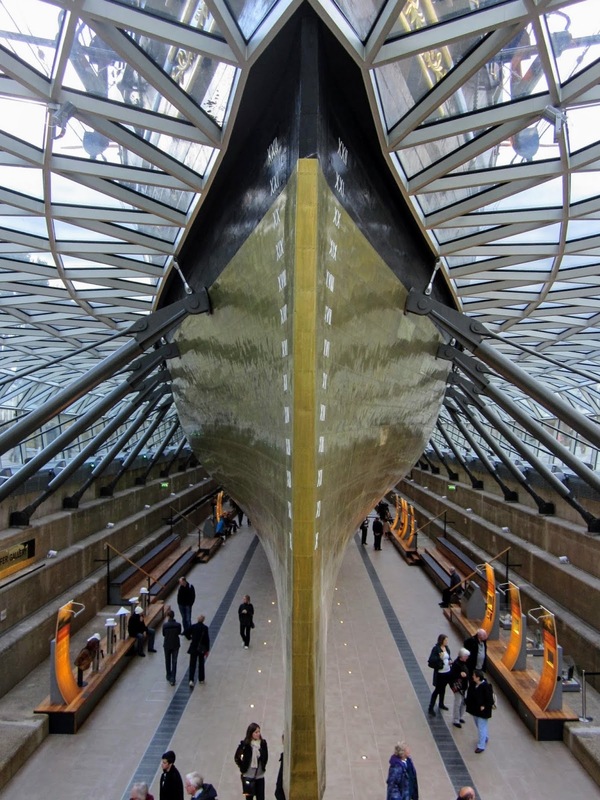 Like a ship atop a bottle.